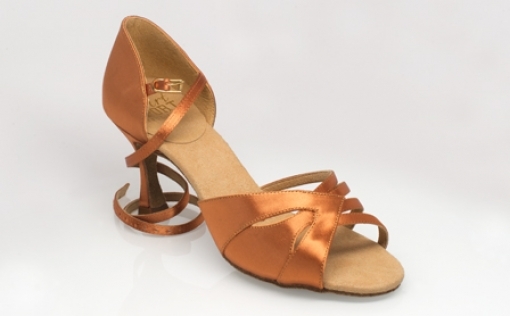 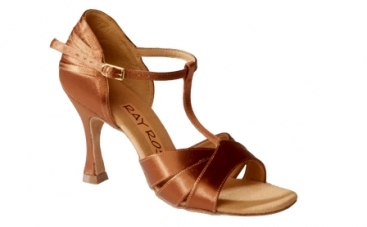 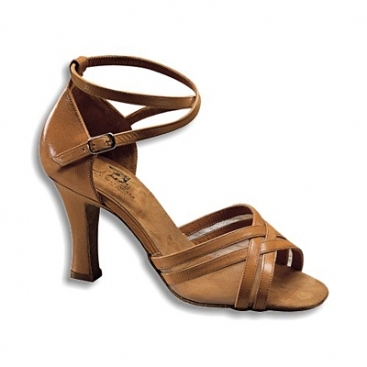 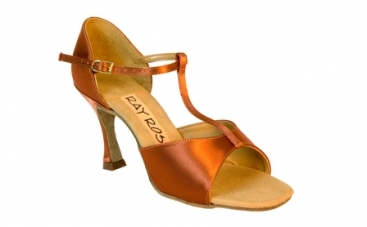 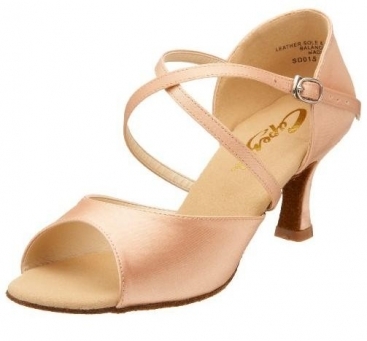 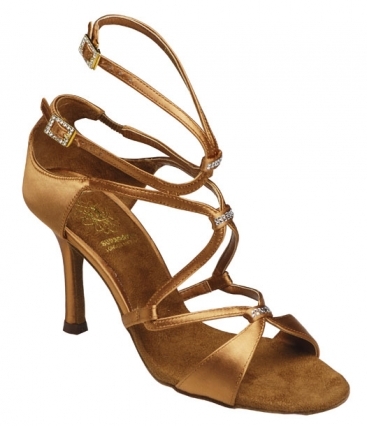 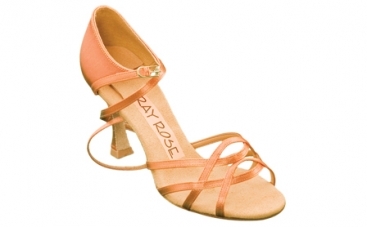 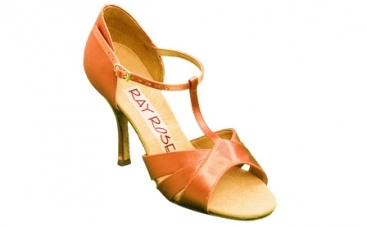 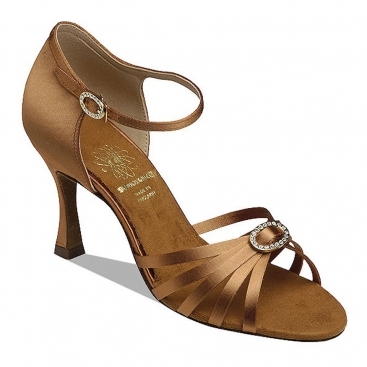 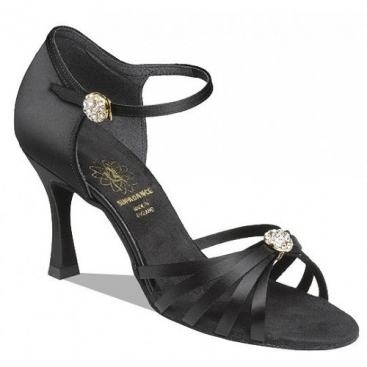 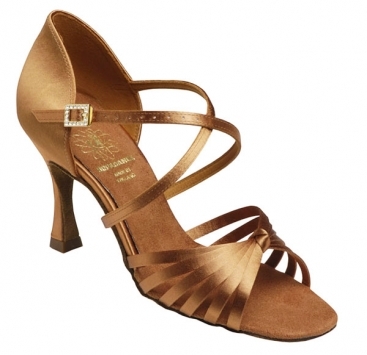 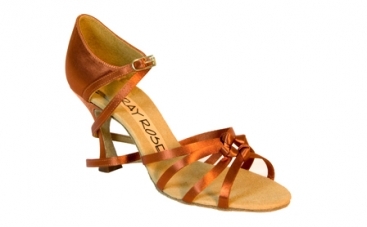 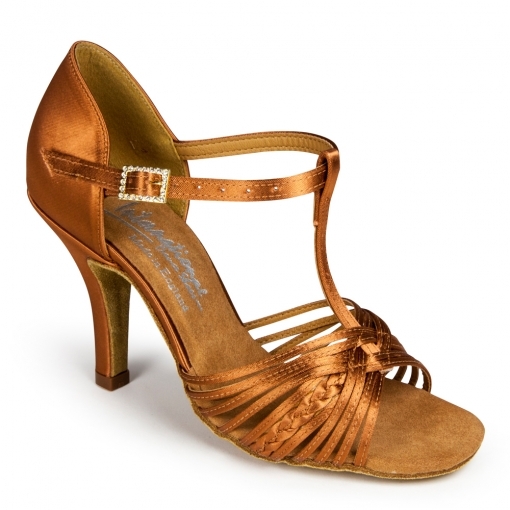 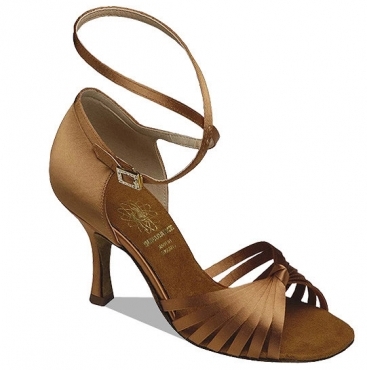 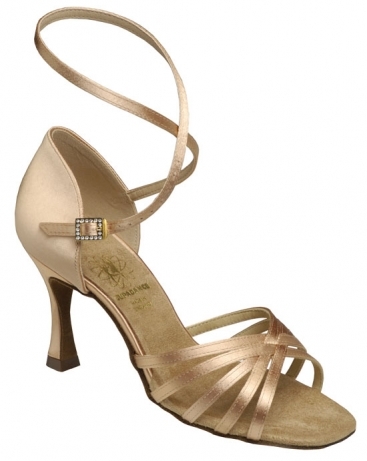 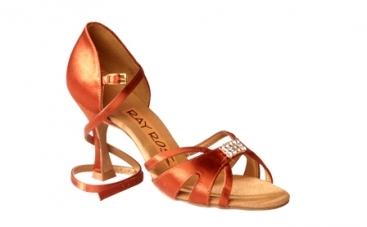 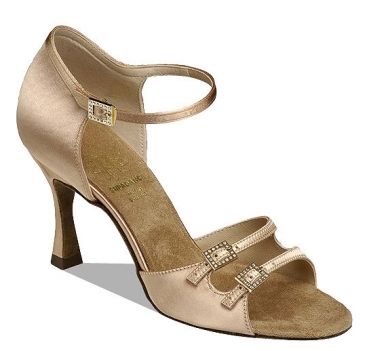 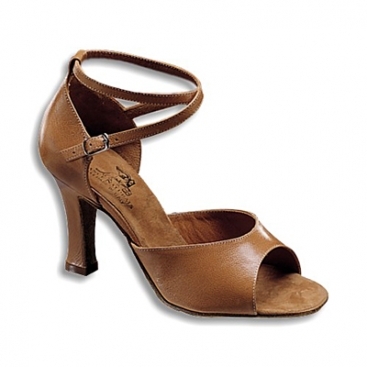 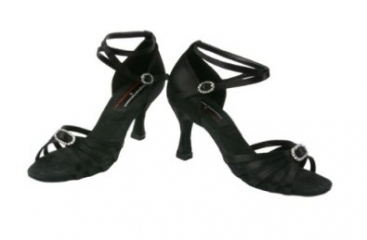 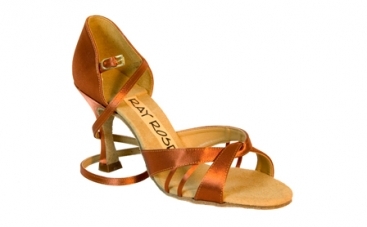 Women's Latin Shoes, International Dance Shoes, Mia, $165.00, from VEdance, the very best in ballroom and Latin dance shoes and dancewear. 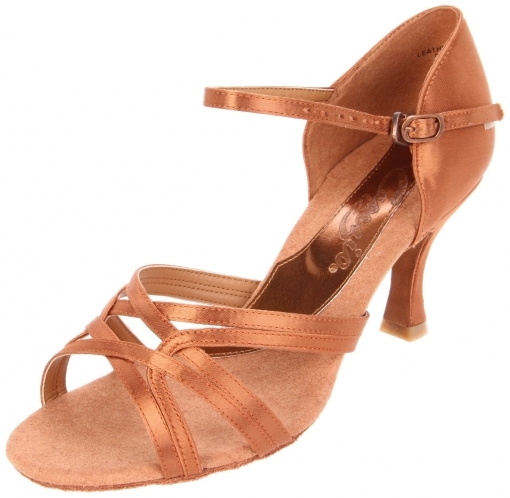 ‘Mia’ is new for 2014/15 and is a stunning style successfully trialled at several competitions including the Blackpool Dance Festival. 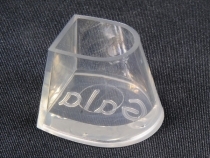 The new design features a part closed vamp, which works wonderfully to protect the little toe and hold the foot in. 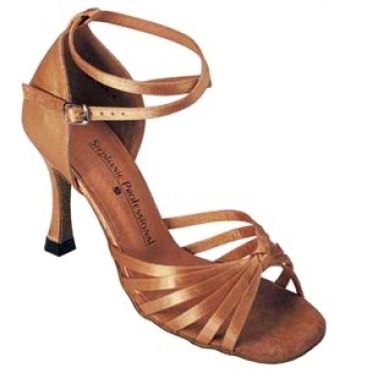 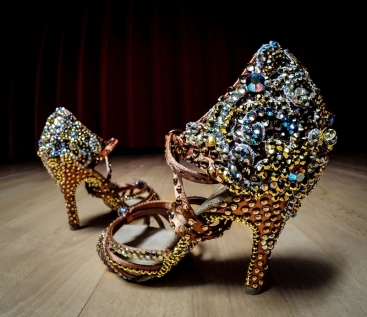 Worn by: Ksenia Zsikhotska (British Amateur Latin Champion). 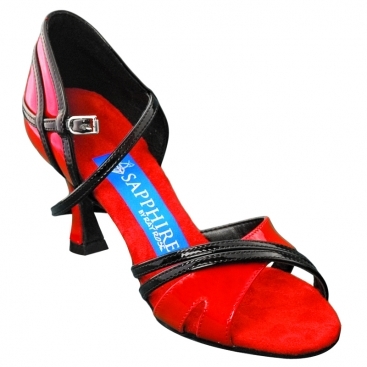 The new straight 'Elite' heel offers greater support and balance and improves the visuals of your toe points with the heel being centered further down the arch. 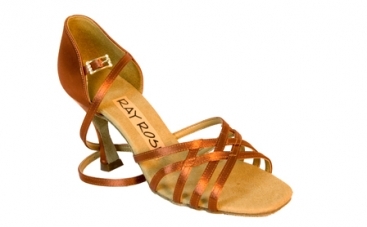 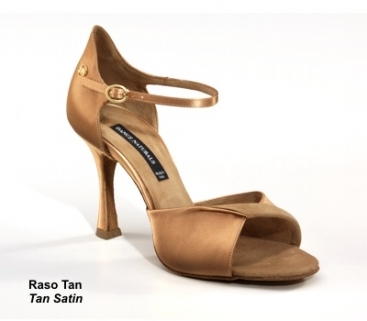 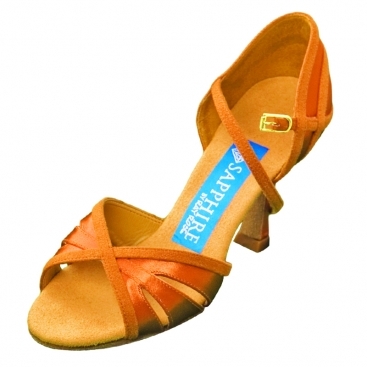 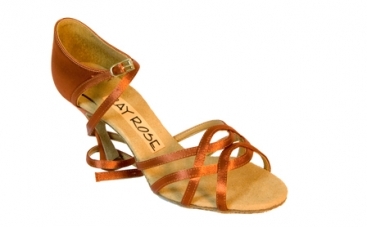 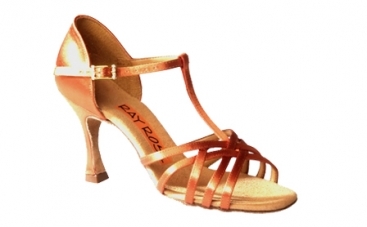 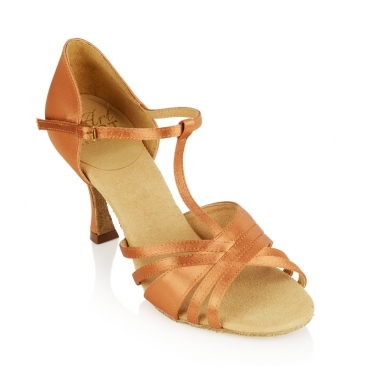 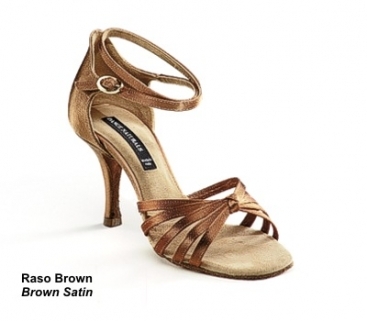 These three heels are available on Ladies Sandal shoes, and replace the original 'Slim' heel for Sandal shoes.